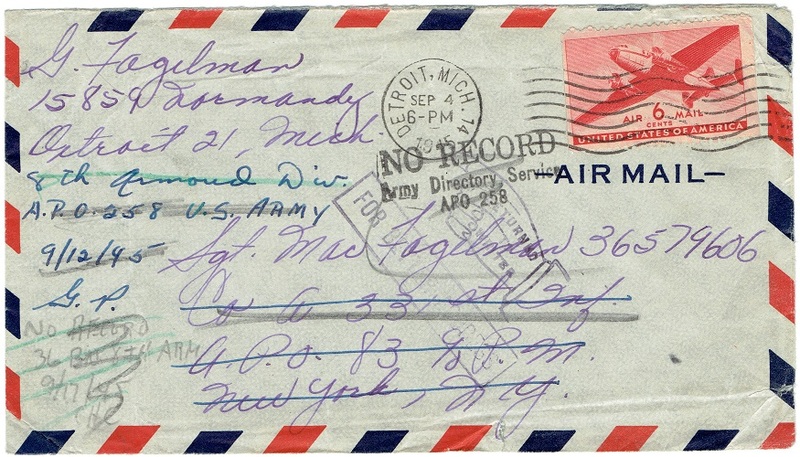 A Company, 331st Infantry Regiment "Envelope"
In Czechoslovakia the envelope was stamped "No record army directory service APO 258", written in the bottom left corner is "No record 36 Bn 8th Arm 9/17/45 CHC". A final stamp shows a pointing hand and says "returned to writer for better address". Stamped on the back with "No record C.P." and handwritten date of October 1, 1945. 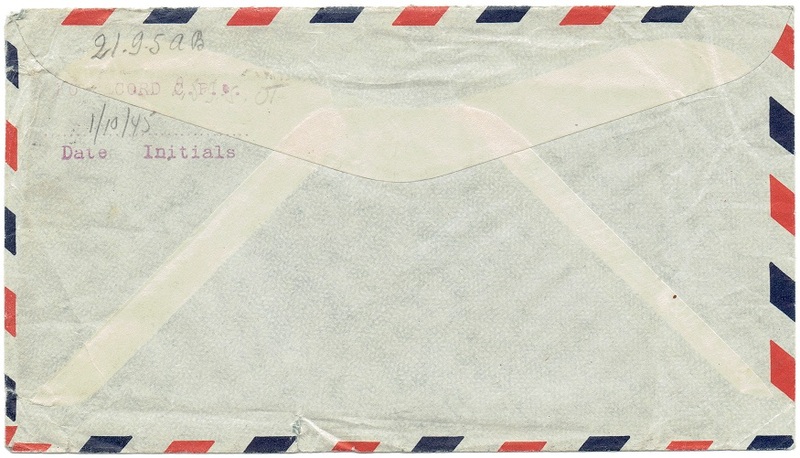 These markings tell the story of this envelope which carried its content all over Europe in pursuit of Sgt. Fagelman. It was common for men of the 83rd to be transferred to the 8th Armored Division before being shipped back to the US. The stamps make clear that the envelope reached its destinations too late and Sgt. Fagelman had already left both the 83rd and 8th by the time it got to the APO. Find more info on Meyer Fagelman on the page "THE MEN OF THE 83rd"